Asexual Perspectives: What an Author’s life is really like! Behind the scenes part two! So you may have read about my Asexual Perspectives book being published, but just what is Asexuality and what does it mean to be asexual? Watch this video to find out more and read my book description below. Asexual Perspectives is currently available to read for free on Amazon for ‘Kindle Unlimited’ readers, so what have you got to lose by finding out more? Heteroromantic Author Sandra Bellamy, is the founder of www.asexualise.com, with products, resources and services for asexuals. She sees herself as an ambassador for asexuality and is on a mission to get asexuality recognised as a sexual orientation in its own right throughout the globe so that no asexual has to live in fear of ridicule ever again. By purchasing this book you will gain a deeper understanding of this often misunderstood sexual orientation and help to spread awareness of asexuality at the same time. We may be small in numbers, but we can still make a huge difference to the world at large and celebrate our diversity. What is the hardest part of writing a book? BEHIND THE SCENES PART ONE. What is the hardest part of writing a book? 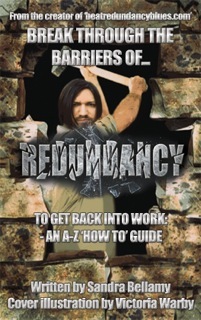 Redundancy is one of the best times to write that book. But now hard can the be?? Special Edition Video Series. In this video series I give you a behind the scenes look at what it is really like to be a writer and author. Part Two shows more of the making of the book and my daily routine. I have finally uploaded my Asexual Perspectives book and waiting for Kindle to approve it and then I will be a self-published Author x 3 – but this book will be in print also asap!! Stay positive and look out for part two soon! !